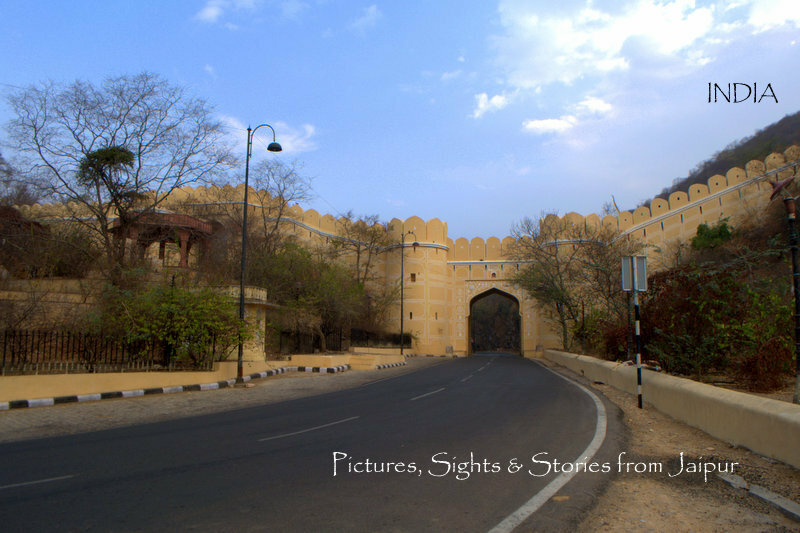 Black kite is one the most popular flying predator found in Jaipur skies! 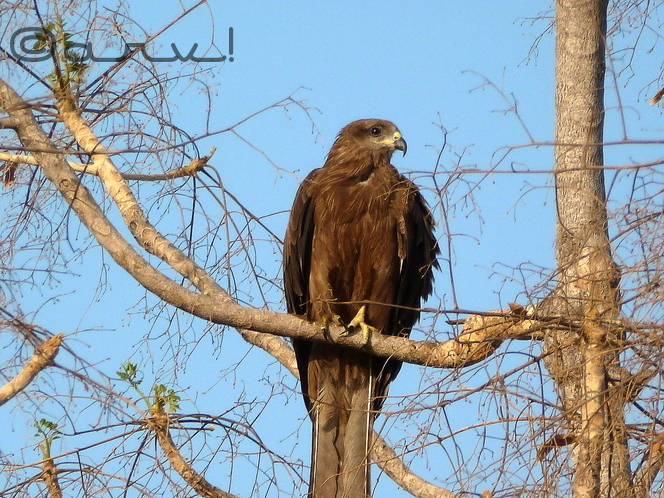 Black kite perched on a tree. This is also known as Indian kite and is a small sub species of black kite.You can find one sitting at some vantage point usually on a high rise buildings or on tall trees with less vegetation. 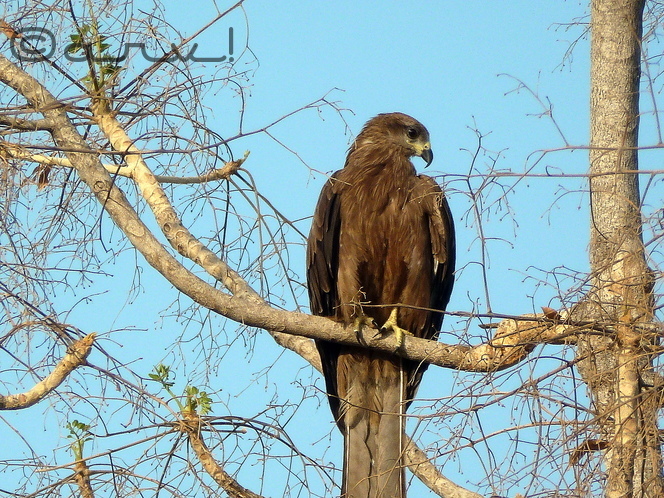 Thriving on small mammals, reptiles and insects, Black kite is quite an adaptive bird. thanks wildlife! it’s difficult for people to believe that this was shot using a super zoom!!! He (or she?) looks very impressive – a great capture! A very good shot as guess you did have to zoom in. I’m writing a story which features a black kite so have been doing quite a bit of research. Your photos should go on google images as are so clear with markings on beak and claws. Using a super zoom camera. There are so many pictures on Google that it wouldn’t feature on top. it’s interesting to know that you’re doing research on black kite. what kind of research is that ?I’m Curious! You seem to be a nature lover too! Yes my blog is really for the natural world. The research on certain animals is for the book I am writing, a nature quest or saga and one of the animals is a black kite, European one but I knew there were many in India so it is interesting to see the variation.